This reality show revolves around a single woman being courted by a group of handsome men who’ve been assembled to live under one roof. 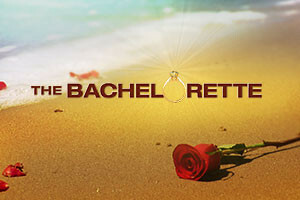 As the series progresses, the bachelorette goes on a series of dates with the men and over time suitors are eliminated from the competition. Towards the end of the process, there are a few overnight dates and, at the end of the show, the woman picks one person to continue seeing and he may or may not choose to propose marriage. More about: The Bachelorette, The Bachelorette: canceled or renewed? The Bachelorette: Bring It Back or Time for a Break? Round Three: What Top TV Show Should Be Cancelled? Becca should have picked Blake!!!!! She got it SO WRONG!!!!!!! The newest bachelorette has made me make the decision to never watch this show again. The dual bachelorette was a terrible idea and should have no way allow the men to pick. I used to follow this show all the time no longer very poor decision! To bad! I hope not. Like the other shows of this genre, it’s as interesting as a test pattern and phony as a Chevy Mustang. Probably but not announced yet.